This cake was pretty simple. I baked a round cake. Once it had cooled I carved out part of the center. This is only the second time that I have attempted to carve a cake, so considering I that I thought it was pretty good. I frosted the cake with butter cream and then covered it in fondant. I used a cocoa puff cereal for the dog food. The border on the bottom of the cake is butter cream. 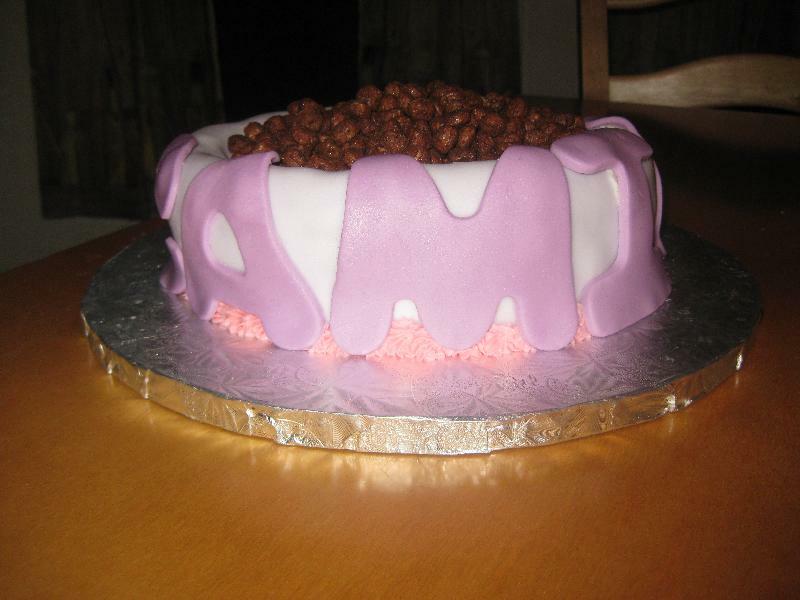 The letters around the bowl are made out of fondant.